Every travel agency promises quality service, trust, and reliability. But of course, you want more… and TUREX Costa Rica delivers. 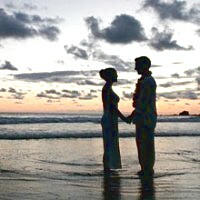 Our team has earned a superior reputation by consistently going a step further offering Costa Rica vacations. We arrange your perfect Costa Rica travel experience: vacation rentals, hotels, tours, and transportation… we offer ONLY the best of Costa Rica. Our travel experts are IN Costa Rica to help plan your trip and tailor your vacation! package. This guarantees the immediate support before and during your trip.